In his presentations, Tony Robbins often refers to “the triad,” in which he describes the three ways we can create an immediate shift in the way we feel, emotionally. We already use them all the time! At any given moment, these forces are at work, either working for us or against us. The key is to use them consciously, so that they work for us. The triad includes: Physiology, Focus and Language. To be very clear about how these forces work; we have a choice at any moment, to feel—or not to feel—depressed, angry or sad, etc. By working with the three elements from the Triad, we can create the desired shift into joy and enthusiasm. In Robbins’ teachings, an example of changing our physiology would be the simple but profound act of changing our posture and body language. Like a circular transmission, when we lift our heart, lengthen our spine, and soften our expression, these changes send a boomerang-like message out to the world and then back again to our own psyches, communicating a message that was very different than the one we had when we were hunched up under our hoodies. The most immediate way to alter our physiology is by controlling our breath. In Yoga, this practice is called pranayam. One simple change in our breathing pattern may be likened to a “code” that activates a cascade of internal reactions throughout the body. Each of the various ways that we work with our breath, sends a different code to the hypothalamus, which continuing our metaphor, we may think of as the “central processing system.” This in turn, activates the release of a different alchemy of hormones throughout our body, affecting our overall mood. BUT, there’s a great magic that happens when we put our breathwork into synchrony with our focused attention. In Robbins‘ teachings, an example of changing our focus would be to look at what we can do, rather than what we can’t do. Or, by simply changing our perception of a certain event. He gives the example of Bruce Springsteen, who, before a performance, experiences the same sensations as someone who has panic attacks, complete with sweaty palms and racing heart. Only…he doesn’t interpret these things as symptoms of panic! To him, it means…showtime! His interpretation of these symptoms is synonymous with excitement, rather than fear. In our Yoga practice, the act of focusing is an exact science! Together, our conscious, rhythmic breath patterns, combined with a drishti, opens a gateway to a higher state of calm-alertness. One of the most common examples of employing a drishti, or focused gaze, in Yoga, is by holding our concentration at the third eye—the spot right between the brows. In Zen meditation (which may be thought of as a form of Raj Yoga), that focus would be at the tip of the nose, or a few feet ahead, with eyes nearly closed. Additionally, visualizations may be used (more common in the Tibetan traditions), as well as sound. Robbins reminds us how huge a small change can be. This also echoes the ancient teachings of Yoga. Consider the difference between breathing with awareness and breathing without awareness—from the outside, they appear to be the same activity, but without the quality of focus, they are very different. We could even say that one isn’t Yoga, at all. How we talk to ourselves is of utmost importance. We often talk to ourselves in self-defeating ways, saying things like, “this will never work…” or, “”this always happens to me…” or, “I’m such an idiot,” etc. As Robbins explains, these sorts of habitual declarations reflect the crippling stories we are telling ourselves inside our heads. In Yoga, we use affirmations, such as “I am bountiful, I am blissful, I am beautiful.” But we also use Sanskrit-derived mantras, which work whether we understand them, or not. This is because they work on both a subconscious and an energetic level to create a powerful shift in our emotional state and overall mood. So we see that in one Yoga Kriya, posture or meditation, each facet of the triad is put to service! *For more on the technology of mantra and chanting, see my article here. To Drop Your Thoughts or Think Positive Thoughts? If you’ve ever taken up any meditation practice, especially one emphasizing mindful awareness, chances are, you’ve been told to just let your thoughts fall away. The teacher or meditation guide likely reminded you that you are not your thoughts, as a way of encouraging you not to get frustrated by the constant bombardment of mental chatter. Just gently say, “thinking” to yourself, and come back to presence, he or she probably advised. I call it “going sailing.” It’s a good idea to resist the urge to “go sailing” when you’re trying to meditate because the minute you get carried off on a thought cruise, you are, to put it in one of my own teacher’s words, “in your head.” If you’re in your head, spinning stories and fantasizing, then you’re not really here—you’re somewhere else that doesn’t exist…in a fabricated rerun of yesterday’s argument, or in some imagined future scenario. And the whole point of practicing mindful awareness, is to come to presence. Thus, learning to take the perspective of “the witness” is an important part of any meditation practice. As a witness, you learn not to identify with these distractions called thoughts. You, in turn, begin to bring spaciousness into your universe, which is actually less poetic and more literal than it seems because every time you gently come back to this moment, you experience reality more fully. By bringing your concentration back to the breath, or your mantra, or the yantra, or whatever tool you choose to use as a focusing mechanism, you detach from the allure of the fantasy. You unhook yourself from the temptation to spin the story. There are countless stories in our heads. Liberation from their beguiling appeal is the essence of Buddha’s instruction to drop the endless desires that follow them, like smoke follows fire. We become narrow and myopic when all we can see in our mind’s eye is our story. We get hooked onto the “catch of the day”—the worry, fear, the conversation on repeat, or the anticipated scenario to come. But once we begin to unclench our bite, we begin to see more, hear more, and experience more of our world. This is spaciousness. This is the beginning of what it means to expand our awareness. So, where do positive thoughts fit in? That’s just another form of “thinking,” isn’t it? There is a useful role, to be sure, for positive affirmations. Cell biologist Glen Rein was among the first to substantiate the idea that our intentions and emotions actually affect our DNA. That the way we talk to ourselves inside our heads can have such far-reaching effects on our well-being, so as to cause changes at the cellular level is more than just fascinating, however—it is empowering. It means that we have more control over our physical, mental and spiritual health than we imagined. The implication is that, if you can work skillfully with your thoughts and commit to talking to your self with kindness and conscious intent, then you can achieve what the scientist describes as…a heart-focused, loving state and live in a more coherent mode of physiological functioning. That’s the whole key; working with thoughts consciously, not willy-nilly. One of the most powerful ways we can heal ourselves is by thinking positively. As an analogy to thoughts, consider actions, in general. In philosophical ethics, we distinguish between negative commands and positive commands: The things we shouldn’t do, like stealing, and the things that are good to do, like sharing. In this way, we reduce harm in the world. Generally, the “don’t do’s” are absolute, whereas the “do do’s” are optional. As an example, consider this situation: If I remove myself from society, say, by going off to live in a cave somewhere, I reduce the likelihood of causing injury to anyone—I’m practicing “not doing.” This would be akin to dropping thoughts. But this is impractical! We all have lives to live, people to talk to and things to. So, this brings me into the realm of positive action and the need to be more conscious of how these actions will play out in the world. We don’t have control of the infinite trail of karma over time and space, but with good intent, I simply increase the chances of a positive outcome. This is akin to positive thoughts in the world of our body-mind and the far-reaching ways that affirmations can heal not only ourselves, but our world, as well. The reach is actually infinite, considering the way that these internal vibrations, called thoughts, will reverberate through our cellular structure, the fabric of our emotions and, like wakes behind a boat…outward, through our energetic projection, our words, our choices, our purchases, our conversations and everything we do. Thinking positively may be seen as the active component of our practice, where mindful awareness is the softer, more passive part. It’s like reaching out for the apple rather than waiting for it to fall. It’s recognizing my role as the creator of my universe and my power to manifest my health and well-being. It is the Yang to the Yin. I spent the weekend at a meditation workshop. It was the second of three total weekends, that together compose the advanced training, in Kundalini Yoga, called “Mind and Meditation.” It was long, intense and exhausting, but also rich. The lecture-based explanations on all the facets of the mind and how it works, nourished our intellect, while the meditations and group sharing, enriched our hearts and spirits, through direct experience. There were moments where I was so tired, I just wanted to go home and lie down with my dog. But there were other moments that left me truly transformed. The words in this particular meditation were simply, I forgive you. It started softly and then it grew, as the intensity naturally and organically progressed, over the 31 minutes. The funny thing is, I don’t remember if he mentioned that it would be that long. I had the idea that it would only be a short, five minute, lightweight, fun chant to start class with. I was wrong. It kept going…and growing. And once we were deep into it, I sensed I wasn’t the only one wiping my eyes. 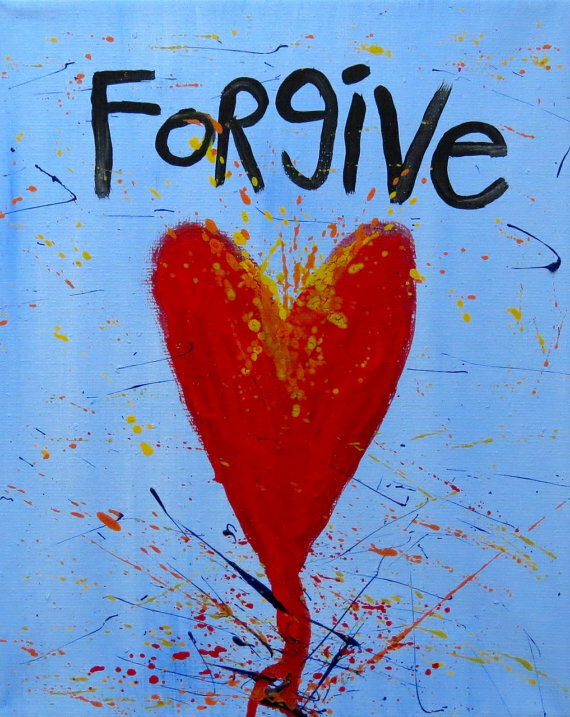 What is genuine forgiveness and how will it set us free? 2. It also is not mere acceptance. Although it is a fine place to start. One of my favorite writers, Caroline Myss, refers to the inability to forgive (oneself or others), as the strongest poison to the human spirit. It drains our energy more than anything else. Lack of forgiveness cuts into the core of our ability to enjoy life, because as long as we are doggedly holding on to some injustice, we are investing emotional resources into it, to keep it alive, to maintain our status as victims. This attachment, to the past, to the event, to the story in our head about the occurrence, is like an invisible, heavy-duty, elastic band that prevents us from moving forward. And we are the ones who suffer most—not the other. So, although we still need to go deeper, acceptance begins the process of dislodging the story that is holding us hostage. In short, acceptance may be seen as the birth place of letting go, but it is still in the domain of the mind. 3. Genuine forgiveness goes deeper than the mind. It is a matter of the heart. And it’s not even about the other, at all. It is about our own relationship to the past. And in order for the heart to forgive, it has to feel the feelings, in order that they may pass through and evaporate of their own accord…as things always do when we don’t resist them. This means welcoming the hurt and the pain. You have to go there, to go forth. And in that moment, when the tears may flow, you liberate your spirit from those invisible tethers. This is true forgiveness and it is also true healing. I remember the Dalai Lama once speaking about Saddam Hussein…how every body blamed him, alone. The reality is, he explained, that without his army, his warfare, his ready militia and unquestioned support among the populace, his capacity to do harm would have been all but nonexistent. In Buddhism, this willingness to see the interconnected causal web underneath the facade, is called deeply looking. To bring this home, to the everyday, it would be the moment when you ask, how am I contributing to the situation? How did my action or lack of action play a role in the development of this dispute or occurrence? I have heard it said that this one skill is the defining criterion of a spiritual life. Not unlike #1, seeing yourself as a witness develops as you begin to shift your focus from finding solutions on the outside, to finding solutions on the inside. This is what meditation prepares us for—watching ourselves. Every time you sit, without reacting, you strengthen your capacity to avoid “taking the bait.” Without analyzing, condemning yourself, or getting involved with the passing parade of emotions, you begin to see the whole thing for what it really is…just neurotic bursts of inner dialogue. And eventually, you find yourself able to bring space around the fear, the anger, the doubt, rather than acting on it. My teacher, Guru Singh, uses the analogy of the postal person. While we may find ourselves resentful of some irksome situation in our lives, perhaps one involving a partner, neighbor or workmate, the energy we spend trying to make them realize how wrong they are will be totally wasted until we figure out what it is we’re supposed to learn from the whole thing. The mailman won’t go away until we’ve signed for the letter! This too, is not unlike #1, in that the external blame only serves to keep us blinded to our own role in life’s deep interconnected relationships. We are all karmically linked, which is only to say that we affect one another in myriad countable and uncountable ways. The awareness that develops out of a spiritual practice brings us more in touch with this causal dependency. When I was growing up, it seemed everyone was impressed with those who could fix computers or who were technologically savvy in some way. They’re so intelligent, they’d say. And then there was always that family superstar who could answer the questions on Jeopardy before the contestants. Everyone would ooh and ahh, admiringly. But, from the point of view of our soul, we are not here to fix computers or recite historical data. Philosophy was impressive, too. While I wasn’t the one you’d call for a hard drive on the fritz, nor the one yelling out the answers to civil war trivia, I could talk about free will or argue about the existence of God. Of course, I didn’t choose this line of study in order to impress people, but as a girl in my twenties, I could already count on the type of reaction I’d get when asked what I’m majoring in. That is…until I went to a real Zen monastery. When I was in my 20s, I was already drawn to the eastern traditions—I knew about Zen and emptiness. I had read Alan Watts and even knew about koans. And for the first time, no one cared. The bald man in robes, who they referred to as “Roshi” spoke that day. He said we were all there because we were “neurotic.” No words were ever truer! None of the brilliant papers I’d written seemed to matter at that moment. I still had my hang ups, just like everyone else. Because I still had that head of mine. All the studying in the world doesn’t seem to do much when it comes to true transformation. The point is, what we are really here to do is guide the mind rather than let it be guided. Guided by what? By our own emotions, by other people’s expectations, by traffic, by disappointments, by the media…by endless, daily provocations (the worst of these being our own thoughts). Neither techie skills, nor historical data, nor a big bank roll can do this for us. To me, it all boils down to this question: Are you a sanctuary for yourself? Can you be still in your own solitude? We become a refuge for ourselves only when our mind is at peace. And only then is it remotely possible to be a source of peace for others — because our mind is the wellspring of every word we speak, every decision we make and every action we take. How do we become our own sanctuary? When we discover our neutral center—the crowned sovereign over all the noise, the judgments, the neurotic outbursts and the incessant tug of war between positive and negative. The neutral channel is the balm that quells the drama that turns people’s lives upside down. That neutral eye sees right though the drama. Thus, this quality creates vastness of character. This is true greatness. And this is what we’re here for. What is meant by “vastness?” No matter what spiritual tradition we’re speaking of, it all comes down to union, or, said the opposite way, letting go of the illusion of separateness. Where is that illusion kept? In the mind. Zen calls it the small self. Yoga calls it the finite self. No matter what we call it, this ego-based identity is what drives the pettiness in our lives, which in turn, makes spiritual union impossible. This is why governing the mind is the first task in any spiritual practice. How do we refine the mind, in this way? It’s too bad you can’t just take a 6-week course, or a workshop, or an intensive. The old masters weren’t lying when they said you have to sit. There’s no way around it. It’s not as easy, of course, as taking a course and sticking some degree on your wall, but that’s also why there are so few truly enlightened beings in the world. Consider this car analogy: Before driving off to work in the morning, you warm up your car for a few minutes. As the engine warms up, a distinct alteration takes place within the engine that affects the oil pressure and viscosity, which prevents wear and tear on your car and gives you a smoother drive. In a similar way, it is through meditation, that we “warm up” our systems by better preparing our minds to handle the stress of daily living, to make the choices that need to be made and to navigate our way through our own doubts and anxieties. Through the refinement process that only meditation affords, we give ourselves a smoother drive. Not only is there an alchemical process taking place, via the glandular system and the nervous system, but by coming to stillness, we develop a capacity to stay present even when things seem unpleasant. This translates into less reactivity and more patience in the “real world,” as we interface with difficult people and everyday dilemmas. Through meditation, instead of simply reacting at once, we create space around every stimulus, whether pleasant or unpleasant and whether internal or external. Our minds challenge us at every turn, like a toddler pulling at our pants for an ice cream, but as we persist, we become solid. 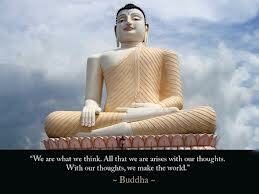 We become a witness to the ways of our own minds, which is what Buddha meant when he urged us to study the Self. To be sure, being a witness does not mean being passive. Nor does it mean being narcissistic. Not passive because we retain our intention to cultivate our awareness even when we get up off the cushion. Not narcissistic because as spiritual warriors, we know all too well the effect of one mind on the world at large. We know that even a few minutes of warming up our engine daily, will shape every decision we make, in every area of our lives, from relationships to work. This is why it is the highest form of self betterment—because we are getting to the root of our being. *Note: Following the entry, I have added the instructions to the meditation she did, along with a link to the recorded mantra she used. It was Day One of my new sadhana commitment. I was woken up by a Rihanna song blasting out of my Iphone, and a few minutes after that, by my ten-year-old brother urging me to get ready and take him to school. After the hustle bustle of my early routine, I arrived at SMC and tried to fit my car into a parking space that would need a plier to get out of. I sat through class after class, took notes, stared at the clock, and made about thirty lists of things I had to do. After the long day had progressed and I was finally in bed, I found myself nervous, as usual, and lost in my monkey mind of excess thoughts. I have quite a neurotic habit before I sleep, where I replay all the little, unimportant negative moments of my day that stuck out to me, like when my history professor poked fun at my question, or when a friend said something that hurt my feelings. Before I know it, I am usually so involved in the replaying of these scenes and distracted by other thoughts that remind me of other negative scenes, that I am up all night, with only a couple hours of sleep to spare. But on this night, before I started this tedious process, I remembered it was day one of my new sadhana and I was committed to practicing the Sa Ta Na Ma meditation every day for the next week. I put on the mantra recording I had downloaded from amazon and sat calmly with my eyes closed. I breathed deeply a few times and then started whispering SA TA NA MA, then singing it, then singing it in my head. I chose this sadhana because I love singing and I loved the element of music and chanting that this sadhana had. As I sang the words, I alternated connecting my thumb fingers with each of my other fingers. I started to feel more relaxed as I felt the anxieties of my day being sung away. My mind felt more focused and at the same time, more clear. I felt like I had created a peaceful sanctuary in my quiet room. I felt connected with my body and felt it get lighter as I let go some of the worries I was bottling up all day. As the meditation came to an end, I found that my mind was lighter than usual, and to my surprise, I laid my head on my pillow and fell asleep. Sit with a straight spine, either on the floor or in a chair. Rest the backs of the hands on the knees. Eye Focus is at the Third Eye (look up toward forehead). Inhale deeply and begin to chant aloud the mantra: Sa ta na ma. On the syllable sa, touch the index finger of each hand to the thumb; on ta, touch the middle finger to the thumb; on na, touch the ring finger to the thumb; on ma, touch the pinkie to the thumb. Continue with these finger movements, with a firm pressure. First chant the mantra aloud, imagining that the sounds come in through the crown and exit through the third eye in an L shape. Then, chant in a whisper. Finally, chant silently (mentally), before reversing the order (Follow the recording). To finish, take a deep breath and reach your arms overhead. Exhale, and draw your hands to your chest in prayer position. This meditation is one of the core Kriyas in our tradition of Kundalini Yoga and has been duly researched and lauded for its measurable benefits to those suffering from Alzheimer’s disease and related brain disorders. Here is one of my favorite short recordings of it, on amazon: Sa Ta Na Ma. In the Dhammapada, Buddha speaks of the power of thoughts when he says, “all that we are is the result of what we have thought.” Yet, Zen master Suzuki seems to dismiss that power, when he likens those same thoughts to passing waves, urging us to learn to let them go, for, they are not who we are. It seems contradictory. But we can look upon this delightful little enigma as an invitation to reconcile both aspects of the polarity. It’s kind of like light…now it’s a particle, now it’s a wave. Where thoughts are concerned, the catch is that they can and do pass…when we let them. As weary travelers pass continuously through the revolving doors of the grand hotel, so our thoughts go flooding through our minds. As Yogi Bhajan says, thoughts erupt at the astounding rate of 1000 per blink of the eye. At this rate, it’s hard to imagine we could catch any of them, but this is exactly where it gets tricky. The problem happens when we get stuck on a thought. Like gum stuck to our shoe, we then begin to wear it, exude it, transmit it. And then, it wears us. Through the simple practice of mindful meditation, we practice letting thoughts come and then letting them go. We practice non-attachment to those thoughts. Like anything worthwhile, it takes a lot of practice (which is why the monks and Yogis have traditionally retired to their caves for a life of seclusion and long hours on the cushion)…because let’s face it—most thoughts only get us into trouble! But as we become more comfortable with this process, we learn how to work with our thoughts in more skillful ways. MRI screening now confirms what Patanjali told us 2000 years ago in the Yoga Sutras, namely, that through focus and conscious intention, we can convert pesky thoughts into more uplifting ones. Cultivate counteractive thoughts, he said. What it all boils down to, is living a more fulfilling life because when our thoughts have got us by the nose (to use an expression my Zen teacher once used with me), we become too engrossed in our internal battles to truly enjoy life. This is where positive affirmations come in. By learning how to actively work with our thoughts in a more purposeful way, we can affect our physical, mental and emotional well-being, as well as usher in the kinds of positive changes in our lives that may have once seemed out of reach. In other words, by learning to work with affirmations, we may even open doors to the realms of the miraculous. Every once in a while, a student sends me something that is not only heartwarming, but serves as a reminder of why I do what I do. Here is a story of a modern day medic and an ancient Yogic technique. I hope you are just as touched by my student’s story, as I was. As a young man living in the 21st century my brain is constantly being rushed with all sorts of stimuli. It is quite difficult going about my day with out being affected by social media, subliminal messages, and other avenues of gaining my attention. Due to all of this my mind is essentially never present or clear. I am always thinking about what to do next and move ahead. However, about two weeks into this class, I was introduced to a breathing technique that quickly brought me back into the present. This technique is called alternate nostril breathing. The first time I tried this in Professor Quesada’s class, I did not fully feel the effects. My brain was not used to being in the present moment, so I started to feel a little restless. At first, I had no faith in this technique because I did not see results immediately. Again, my brain was used to getting things done fast and seeing results quickly. Later that day I went home and looked up the benefits of this ancient breathing technique; everything that was listed was what I needed. I have had a problem with anxiety for many years. I can now say that alternate nostril breathing has significantly helped me with that. About a month or so ago when I started alternate nostril breathing, I started doing it for 15 minutes every morning to get me ready for the day. Those first few days were pretty challenging – it was difficult to stay focused because after sitting for 5 minutes my mind started wandering. Eventually my brain was able to stay focused for longer periods of time. I eventually figured out that this technique could be used any time I feel stressed or anxious. I currently practice alternate nostril breathing multiple times throughout the day in addition to the 15 minutes I do every morning. I work as an Emergency Medical Technician for a private ambulance company where I deal with life and death constantly. There is a very high level of stress everyday and I take on a huge responsibility while the patient is under my care. Prior to learning this breathing technique, I would get butterflies every time I was dispatched and they would last the whole ride to the scene. The lights and sirens just made me more tense and even though the adrenaline rush was too much at times, I thought I had no choice but to force my body adapt to the stress and disregard it. However after becoming comfortable with alternate nostril breathing I now use it when responding to calls. My performance and mental clarity has drastically changed. For example, a few weeks ago my partner and I responded to a call for a traffic collision. When we arrived on scene I found an 11 year old child in the back seat trapped, with no pulse and no respiration. The patient had suffered a traumatic full arrest and it was the first time I had ever witnessed this. The family was crying and pressuring me. I felt a little dizzy, and just extremely overwhelmed. As my partner pulled out the patient and started compressions I ran over to the ambulance to pick up the defibrillator. On the way to the ambulance I forced my brain to focus on my breath and I quickly slowed down my respiratory rate which almost instantly calmed me down. My whole sprint to and from the ambulance was maybe 30 seconds but in those few moments I was able to stay calm and regain my focus just from focusing on my breath. The patient came back after 2 rounds of CPR and 3 shocks. In school I have also used alternate nostril breathing before exams. By using this technique prior to exams I feel a sense of calmness and a major reduction in angst. It has also taken away tension throughout my body. Overall it has been useful to me in my work, school, and personal life. It has also made me more aware of living in the present. Thank you so much Professor Quesada for teaching me this breathing practice. What do the early morning, the pituitary gland and the mosque have in common? I had done my early morning meditation the other day before taking my dogs out for their walk. I live on the street with the beautiful Mosque, so I always see activity there during the pre-Dawn hours. On this occasion, I saw my mechanic, who is a Muslim. The sun, not yet reflecting off the minaret, was just beginning to lighten the sky as I waved hello and turned the corner. If I were to walk a little further, I’d see the Orthodox Jews making their way to temple for their early morning prayers. And in the many Buddhist temples across town, the monks are chanting their first sutras while the smoky aroma of sandalwood incense fills the dimly lit room. 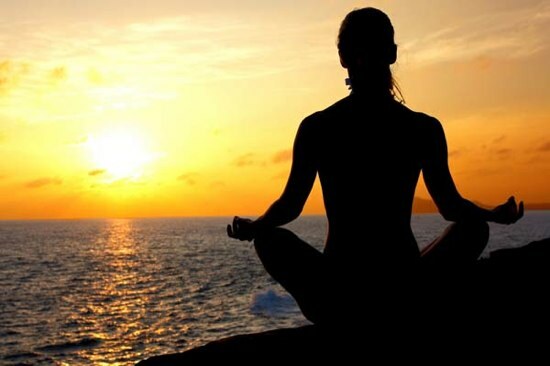 The pre-Dawn hours have always been the favored time to engage in spiritual practices, among all traditions, since the time before those practices were subsumed and consumed by religion as we know it today…since the time when all who practiced were Yogis—since, true to the spirit of the word, they were merely seeking divine union. They were mystics, seeking nothing but the experience of God. Although the façades have changed, the inner motivations are varied and the reasons why are largely unknown, the custom of rising early remains. In Sikh scriptures, it is known as the Amrit Vela—that special and tranquil time we may call the ambrosial hours. The ancients may not have known that this is the time when our glandular system undergoes a natural shift, but they knew there was something very magical about it. They may not have known about the pituitary gland, whose proper function regulates all other endocrine functions and brings us into that state Yogis called Shuniya, but they experienced this state of neutrality and they knew that this was the gateway to higher consciousness…to that realm that transcends time-space boundaries. These are the hours when the world sits still. It is when the earth’s magnetic field and its angle in relation to the sun make it the perfect time to sit still with it. It is when we are given refuge from the tug-of-war between those forces known in the Bhagavad Gita as Rajasic and Tamasic. Between fire and sloth. But between them, there is balance. It is therefore, the most Sattvic time to enter into that divine stillness that lies within. It is when ego’s protective wrapping is most easily peeled away, along with those habits that go along with it. It is as such that in these ambrosial hours, the pituitary gland—master at the helm—secretes optimally and when all those who pull themselves out of bed to practice, can melt into the stillness that was there all along.